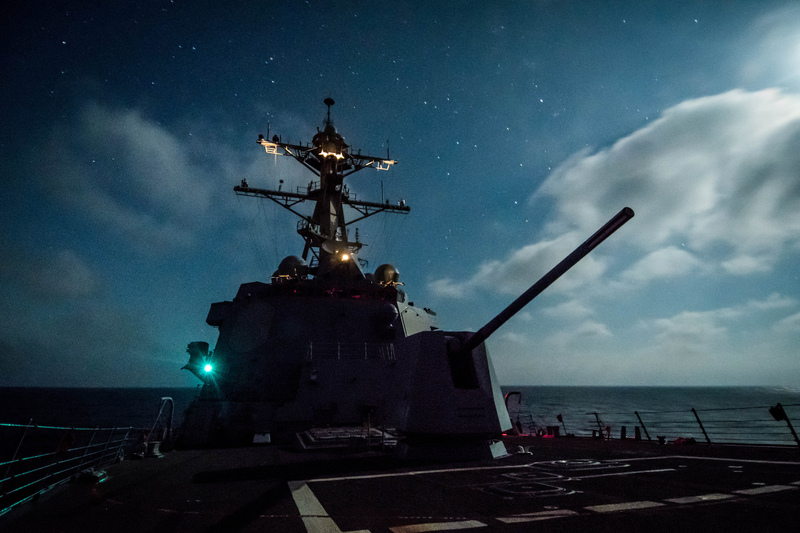 Last summer USS Dewey (DDG-105) fired 20 hyper velocity projectiles (HVP) from a standard Mk 45 5-inch deck gun in a quiet experiment that’s set to add new utility to the weapon found on almost every U.S. warship, officials familiar with the test have told USNI News. The test, conducted by the Navy and the Pentagon’s Strategic Capabilities Office as part of the Rim of the Pacific (RIMPAC) 2018 international exercise, was part of a series of studies to prove the Navy could turn the more than 40-year-old deck gun design into an effective and low-cost weapon against cruise missiles and larger unmanned aerial vehicles. 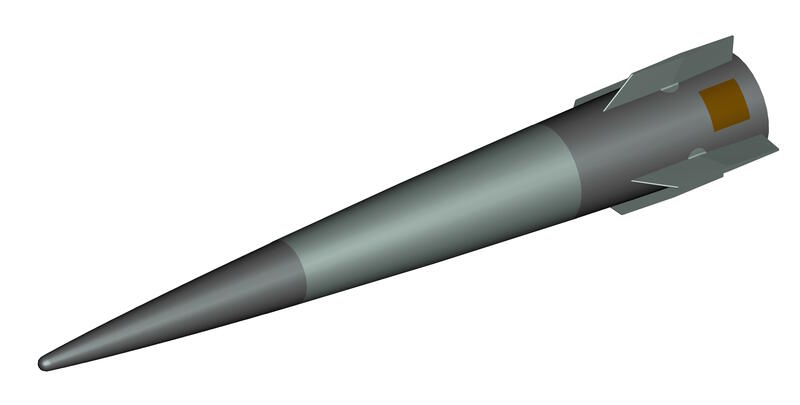 While the HVP was originally designed to be the projectile for the electromagnetic railgun, the Navy and the Pentagon see the potential for a new missile defense weapon that can launch a guided round at near-hypersonic speeds. Currently, the fleet uses a combination of missiles – like the Evolved Seasparrow Missile, the Rolling Airframe Missile and the Standard Missile 2 – to ward off cruise missile threats. The missiles are effective but also expensive, Bryan Clark with the Center for Strategic and Budgetary Assessments told USNI News on Monday. In 2016, guided-missile destroyer USS Mason (DDG-87) fired three missiles to ward off two suspected Iranian cruise missiles fired from Houthi rebels in the Red Sea, in what amounted to a multi-million dollar engagement. “So if you think about the kinds of threats you might face in the Middle East, the lower-end cruise missiles or a larger UAV, now you have a way to shoot them down that doesn’t require you use a $2 million ESSM or $1 million RAM because a hyper velocity projectile – even in the highest-end estimates have it in the $75,000 to $100,000 range, and that’s for the fanciest version of it with an onboard seeker,” he said. An added benefit of using HVP in powder guns is the gun’s high rate of fire and a large magazine capacity. 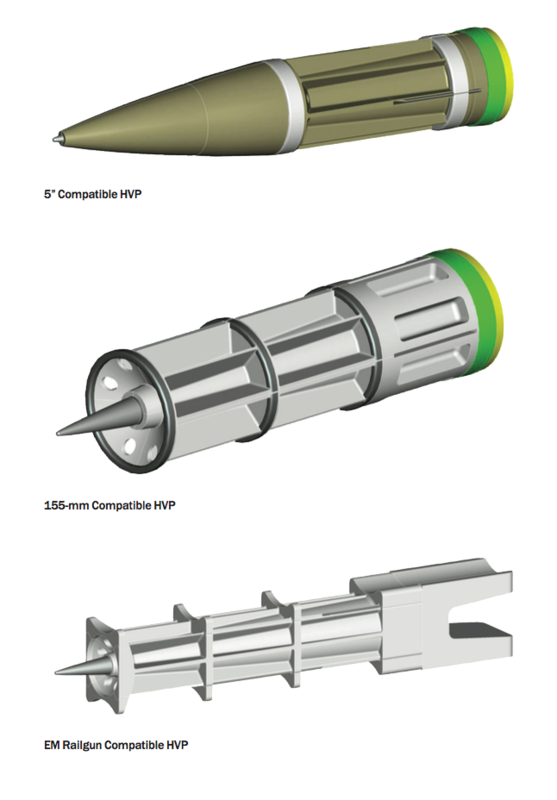 The HVP is also being investigated to use with ground-based 155mm artillery pieces for the Army and the Marines to provide limited air defense options for forward-deployed troops in austere environments. HVPs could also find a home aboard the Navy’s Zumwalt-class destroyers as a replacement round for the classes 155mm Advanced Gun System. While officials confirmed to USNI News that the RIMPAC test was unclassified, both the Office of the Secretary of Defense and the Office of Naval Research would not acknowledge the test when asked by USNI News. A spokeswoman for OSD referred USNI News to the Navy. “I don’t have anything for you,” an ONR spokesman told USNI News on Monday. HVP manufacturer BAE Systems referred USNI News to the Navy when contacted. In 2016, William Roper, who then headed the SCO, said the promise of ONR’s HVP work had been recognized by the Navy and the Army and changed the way the Pentagon office thought about the evolution of the railgun. “We now think that we can do pretty revolutionary things with existing powder guns – think howitzers, Paladins, the Navy’s five-inch guns. We’ve shifted emphasis to that,” Roper said during a 2016 talk at the Center for Strategic and International Studies.